Gorgeous fingerless gloves. You can wear them during the ceremony and your groom can easily slip on your wedding ring. These gloves measure 23" (58cm) long from fingertip to glove opening. These are the longest gloves. These bridal gloves rise approximately 5" above the elbow. 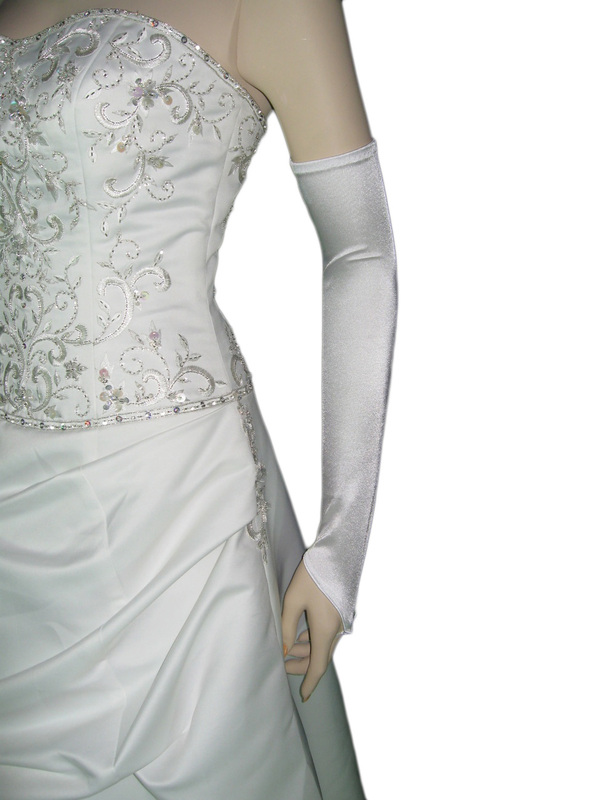 These gloves have a smooth and silky finish which gives it an elegant look and is a lovely complement to any bridal dress fabric.